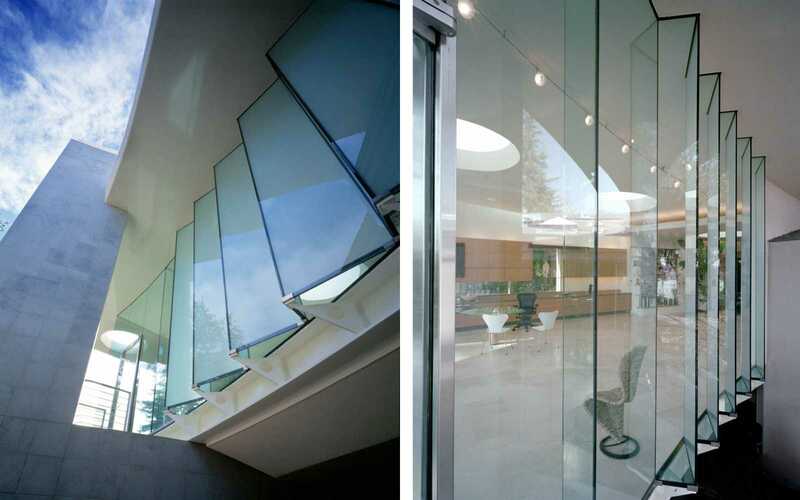 The house is a combination of flexible living space, art studio and gallery. 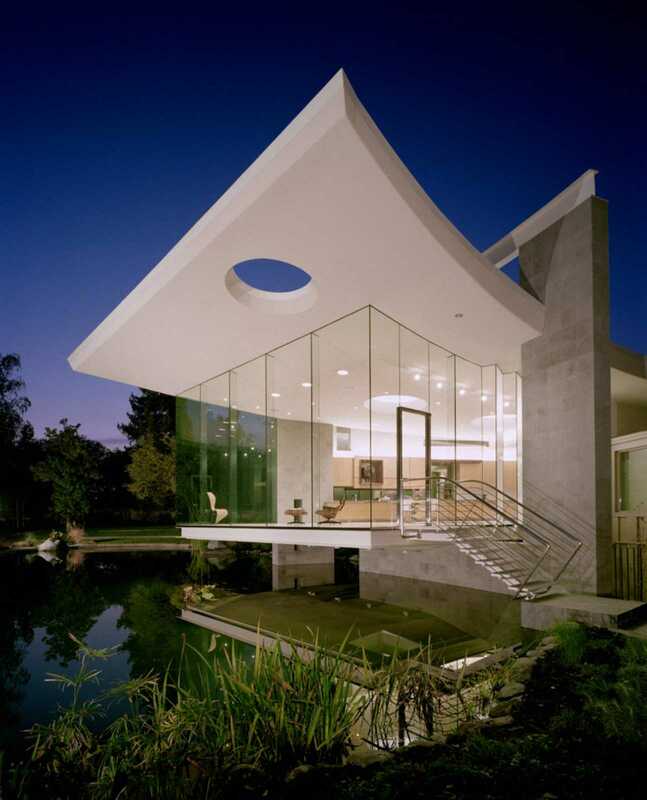 It provides a tranquil and sheltered environment from which to enjoy a rich natural landscape. 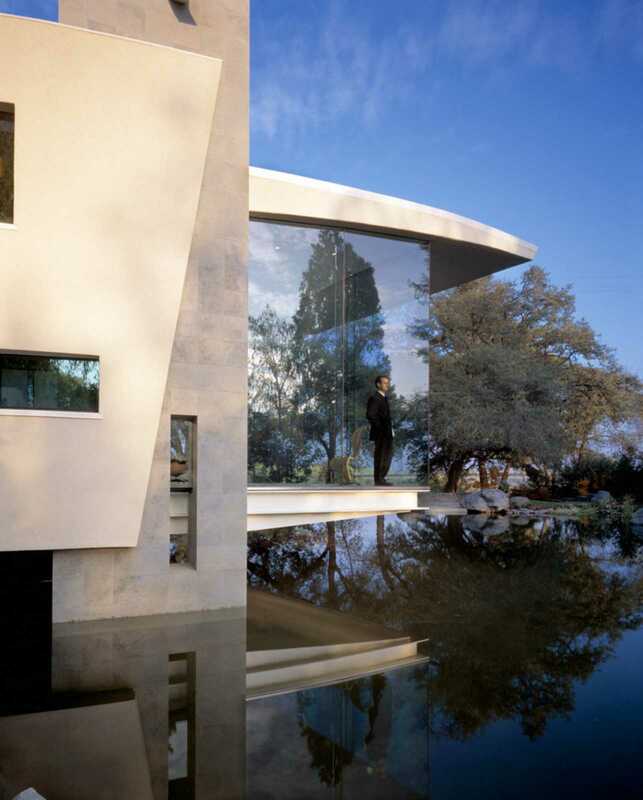 The relationship between the natural environment and the house is central to the design. 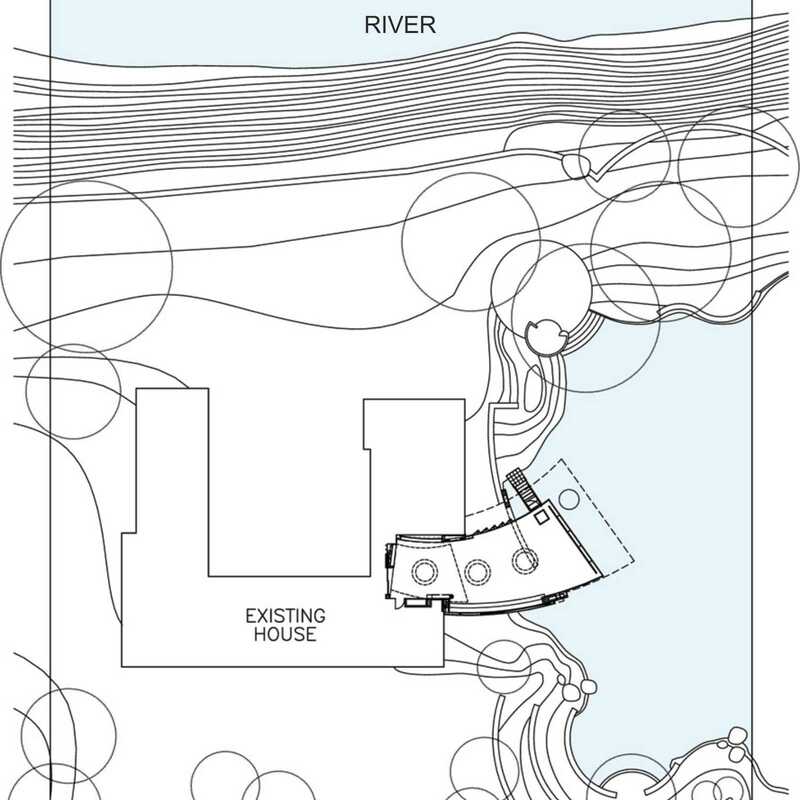 The sculptural form curves to take advantage of spectacular river views. 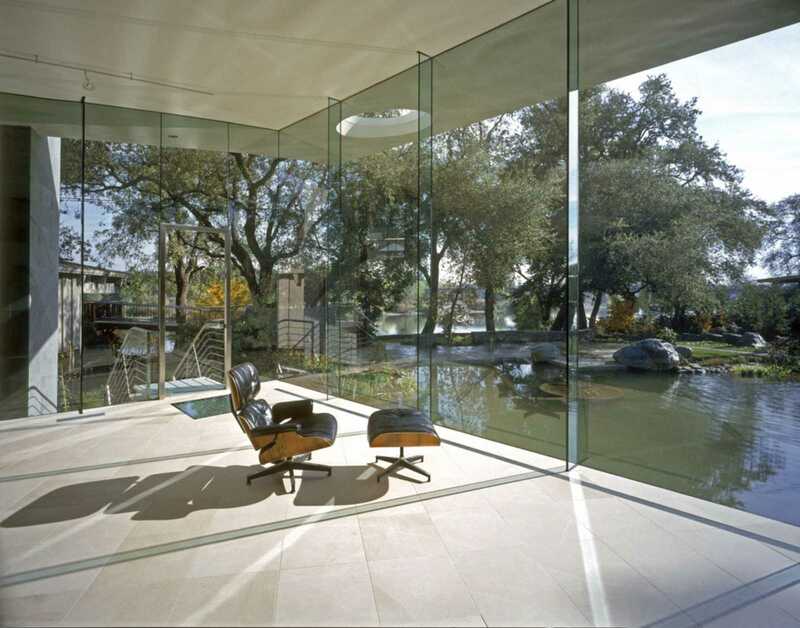 Uninterrupted glass walls open the room up to the landscape and the boundaries between exterior and interior are blurred. The occupant feels fully immersed in a benign landscape; the effect is contemplative and peaceful. Sunlight reflecting off the water dapples the ceiling with dancing patterns, constantly changing with the progress of day. 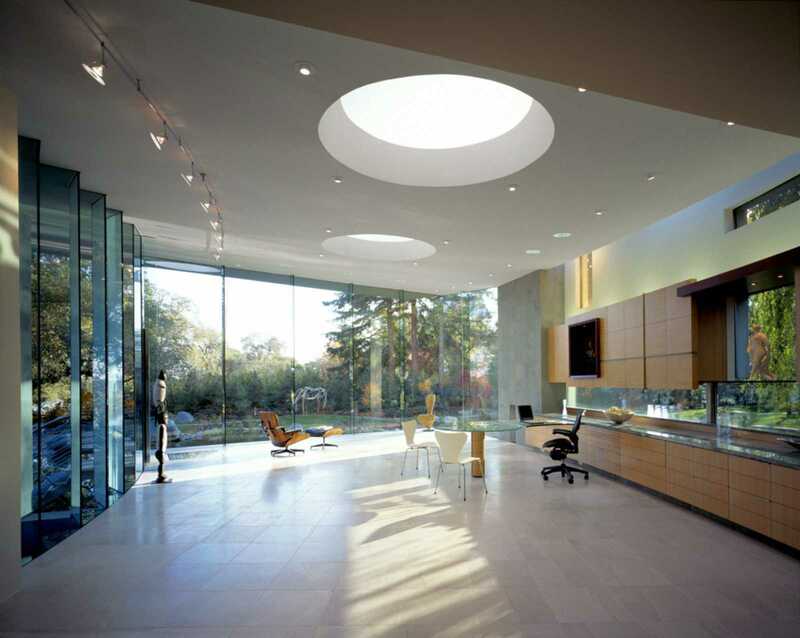 Skylights bring light deep within the interior and articulate the roof form. Continuing the sequence of roof penetrations, an oculus in the exterior roof allows a slowly moving circle of sunlight to animate the floor. A curved wall of angled translucent and transparent glass panels creates an optical louver that directs views towards the river and provides an illuminated backdrop for sculpture. 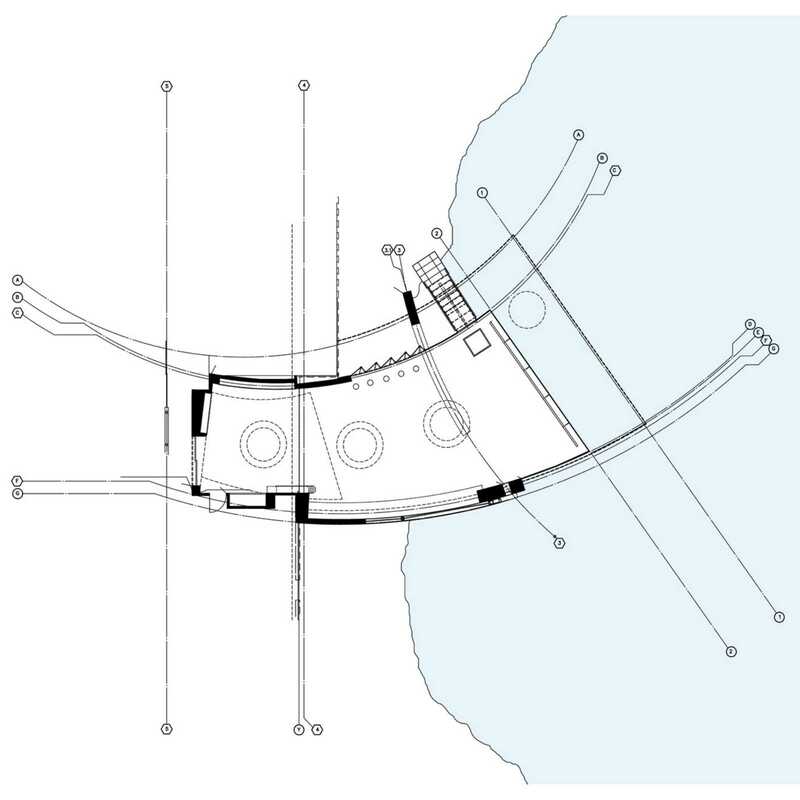 In effect the composition becomes a built object responding to the dynamics of a natural context. The form is integrated with this context and yet at the same time makes use of the contrast between the man-made and the natural. 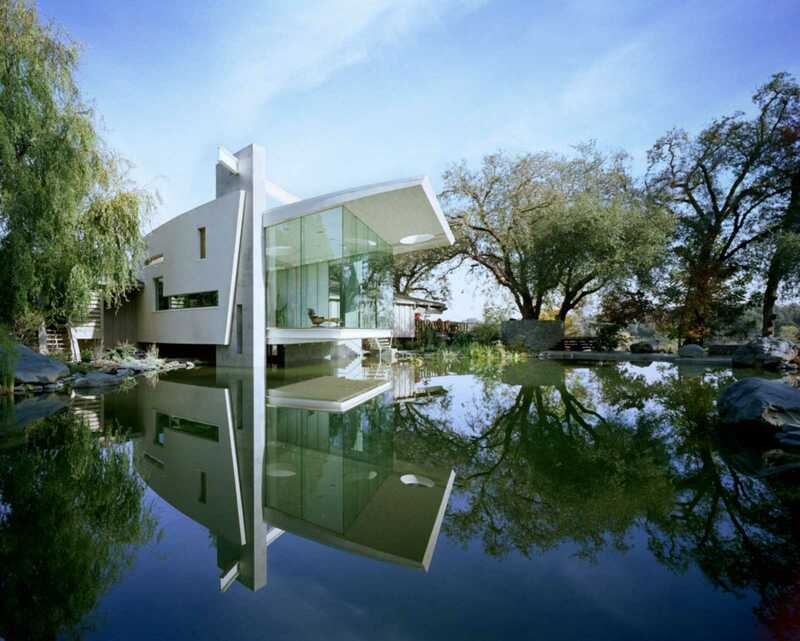 It appears poised over the lake and uses its reflected image and its relationship to the landscape to reinforce its sculpture-like quality. 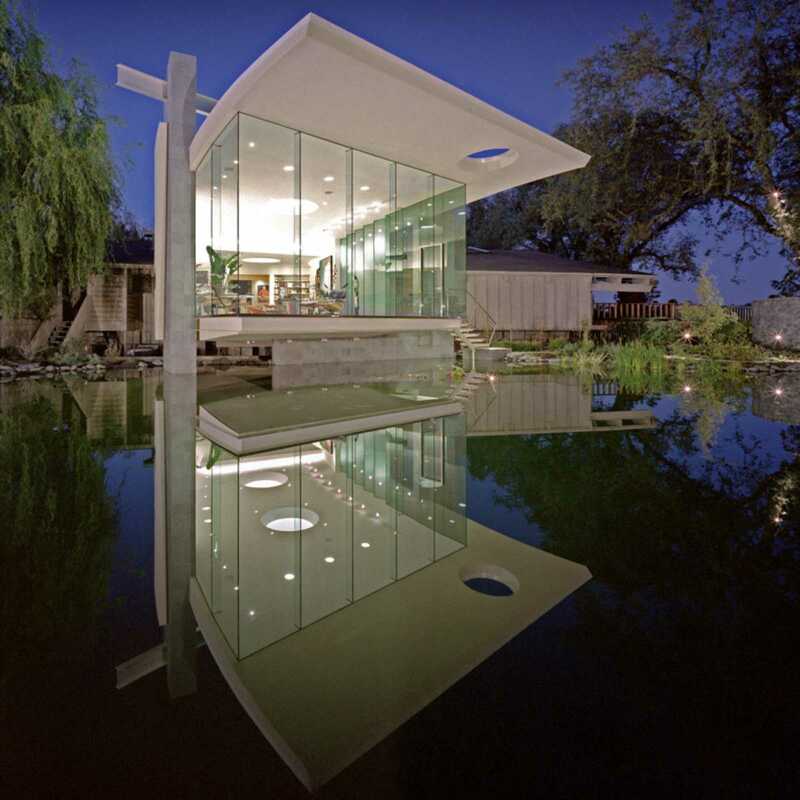 Building elements — the floor, roof, solid walls, glass, and piers — are expressed as independent planes, interwoven yet individual. 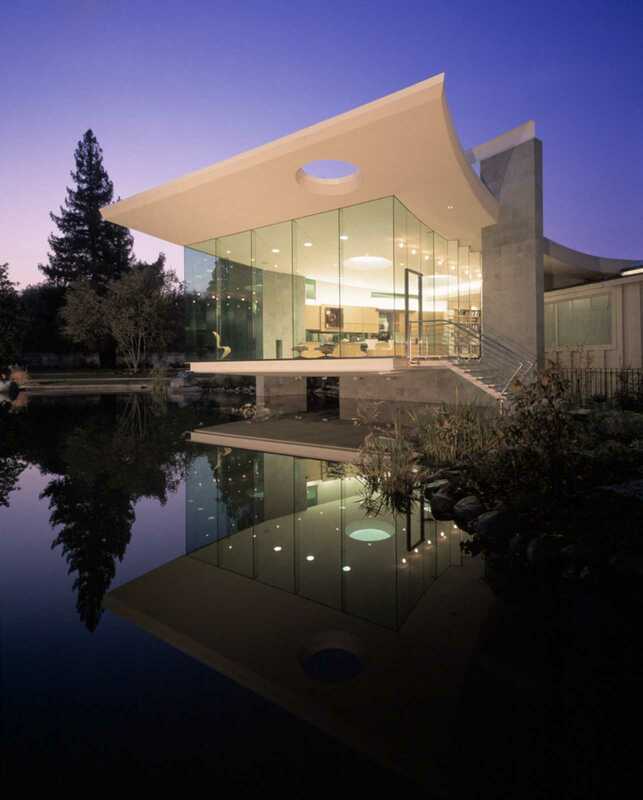 The curved planes are distinctly architectonic yet they share their organic form with the natural world. The openness and apparent agility of the floating structure also alludes to the lightness and elegance of forms found in nature.